Despite clearly demonstrated benefits for pasture-based farms in terms of lower fertilizer N use, lower costs of production and lower greenhouse gas emissions associated with legumes such as white and red clover, neither are widely used on Irish grassland farms. 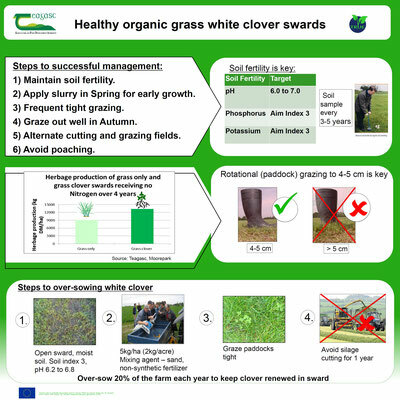 This can be attributed to a lack of knowledge of best management practices and ambiguity in the past about the usefulness of white and red clover along the knowledge transfer chain. 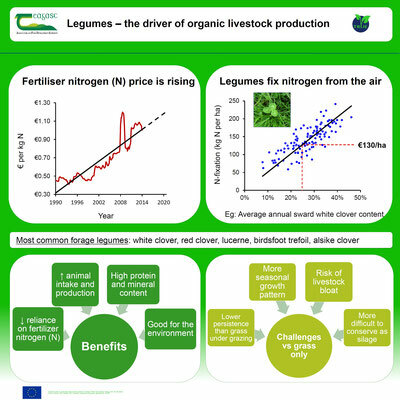 Rising costs of fertilizer N relative to the farm-gate prices received for milk and beef cattle coupled with the increased uptake of organic farming has brought the use of such legumes into sharper focus. 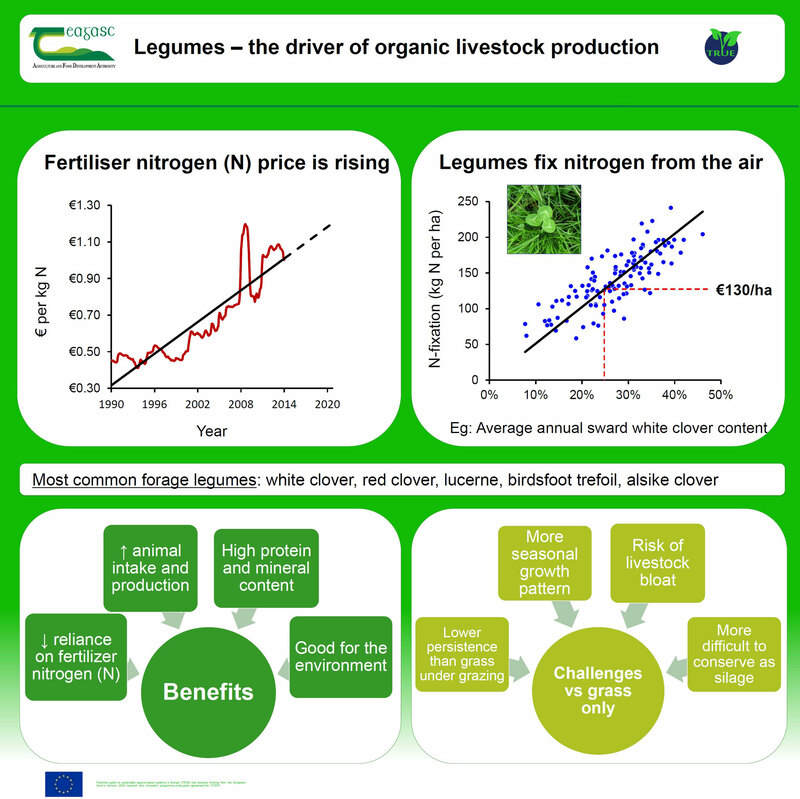 To promote the wider use of legumes on grassland farms eight high caliber organic dairy and/or beef farmers have been selected as demonstration farmers to disseminate the potential of and new approaches to legume use on their farms. These demonstration farmers are supported by Teagasc specialists. 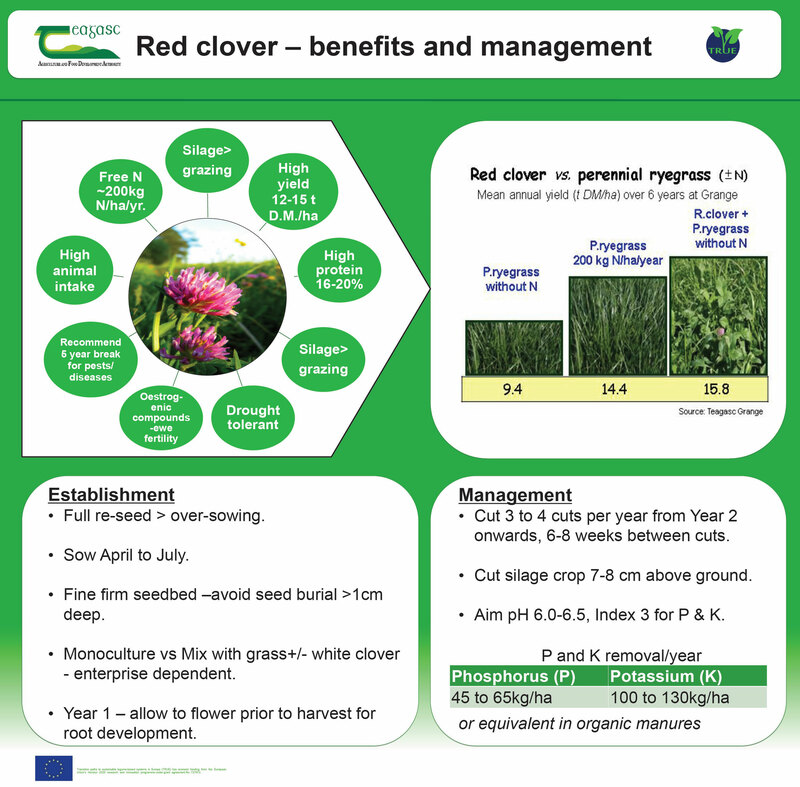 The demonstration farms are also the hub of eight grassland discussion groups to promote the wider use of white and red clover on farms. These discussion groups benefit from the peer-to-peer farmer learning experience through visiting each other’s farms. 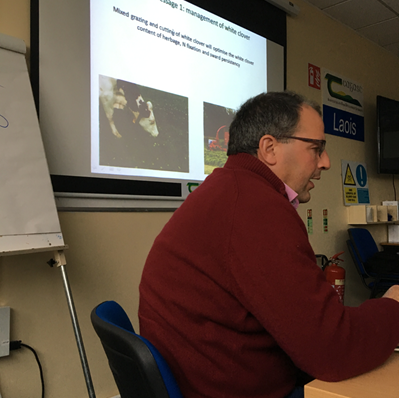 These visits are facilitated by a Teagasc advisor. As a demonstration farm, farmers keep accurate records of activities on the farm and host farm walks including visiting discussion groups. Data on economic performance of farms are collected from these farms by advisors and farm surveyors on an annual basis. Figure 1-3: Farm Walk demonstration boards demonstrating the benefits of legumes and promoting the TRUE project. 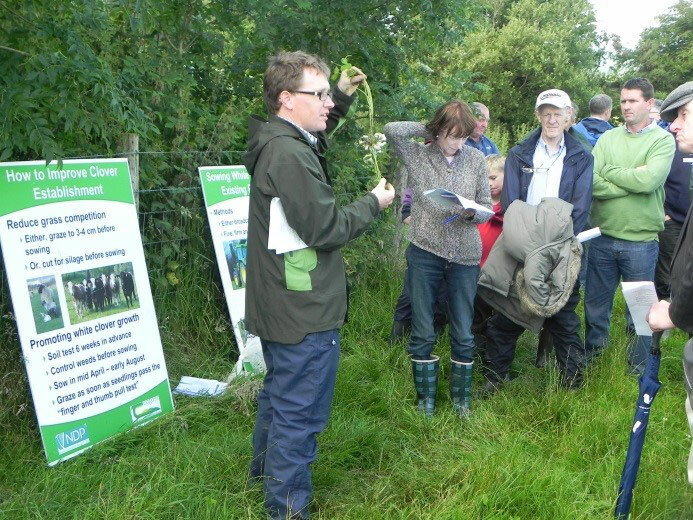 Figure 4: Dan Clavin talking at a demonstration farm walk about the use of white clover in grassland. 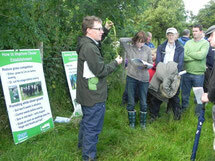 Figure 5: James Humphreys talking to the clover demonstration farmers about white clover management in grassland.